A sunken stadium built into the side of a mountain is one of two UAE projects to make the shortlist for this year’s World Architecture Festival Awards in Singapore. The Rock Stadium, a planned 40,000 seat stadium sunk into the ground, will represent the United Arab Emirates in the Future Projects category at the annual event being held at the beginning of October. MZ Architects are a Lebanese architecture studio. They have proposed a structure having minimal aesthetic and environmental impact on the surrounding landscape. 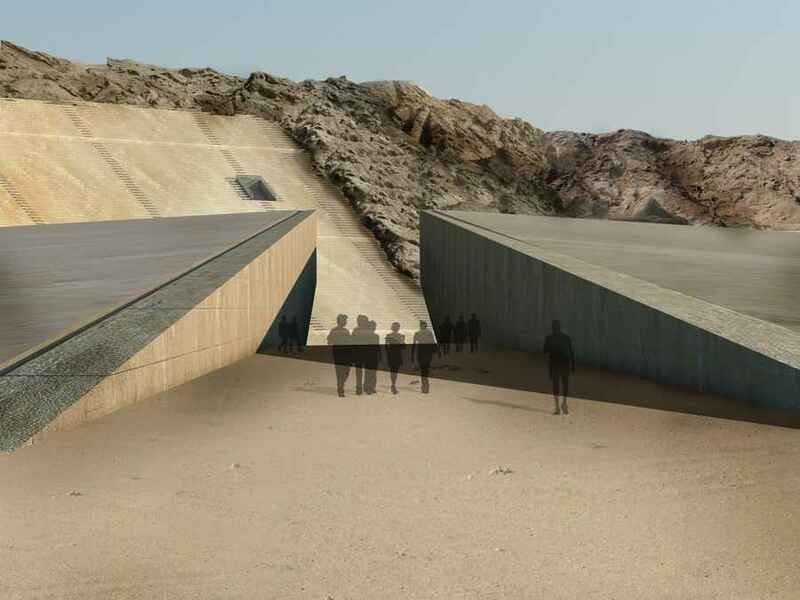 Taking inspiration from ancient Greek stadia built into the sides of hills and mountains, the 200,000-square-metre structure is designed to blend into the side of Jebel Hafeet in Al Ain. Sustainability also played a big part in the design and location of the Rock Stadium in Al Ain. 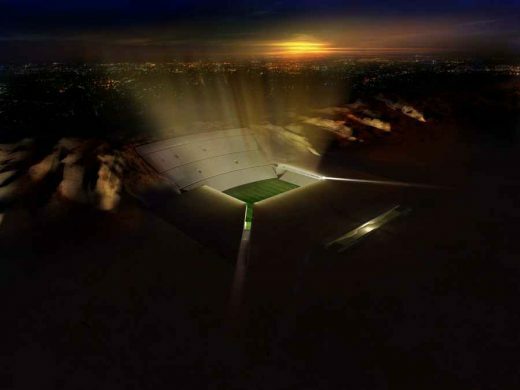 The architects intend to use the material excavated in the stadium’s construction for other parts of the project, while the sunken structure will limit the desert sun’s impact and cooling costs. Al Ain is fourth largest city in the United Arab Emirates. The five Etihad towers designed by Australian architects DBI Design made up the other UAE entry – in the Completed Building category. The Rock Stadium is also shortlisted for the LEAF Awards in 2012.